Fredericka Lloyd, Principal Broker of Lloyd And Associates Real Estate Group and a sought-after industry consultant, is at the top of her game. an exceptionally skilled, diplomatic negotiator, she understands the industry inside-and-out; a real estate instructor, she takes pride in personally speaking with buyers and seller of her brokerage. It's not transactions that motivate Fredericka -- its people. She believes that buying and selling real estate is about much more than the transaction; it's about the experience of assisting people with making “big life” decisions and seeing them through. She has years of loyal and exceptional service to her clients. The voice of integrity, loyalty, and professionalism are the hallmarks of Lloyd and Associates. Fredericka's goal to provide the exceptional service you deserve. She is committed to a higher standard. In today's competitive real estate market it's important to work with a company and REALTOR® you can trust. Jim Lloyd of Lloyd and Associates Real Estate Group is an agent you can depend on. Jim understands the industry; whether you're buying, selling, relocating or an investor, Jim is your advocate to securing the pride of homeownership and a solid financial real estate investment. His insight and up-to-date industry analysis will keep you one step ahead. You will realize the benefits of: competence, loyalty and efficiency - - the cornerstone of his service. Call Jim today. He is your expert when it comes to "Effectively Linking Buyers to Sellers." Hi there! Thank you for taking the time to look me up. One thing about me that might help you decide if I am the right REALTOR® for you is the different approach I take in dealing with my clients. The key to my success has been to give the best individual structured service as possible. This has helped me as one of the integral parts of Lloyd And Associates Real Estate Group. My purpose is to assist my clients with making sound decisions. I view each client and their situation as a unique opportunity to serve them and not just as another transaction. Whether you are buying, selling, staging your home to sell or just "testing" the waters, you need an agent you count on; someone to listen and have your best interest in mind. I never walk away from a challenge until I know the transaction is complete. Give me a call today and let's get started! Remember to ask about my staging services. Surely, in today's diversified real estate market you need an efficient and knowledgably negotiator who will produce successfully results! Look no further, Amira is Your REALTOR. With over 10 years of marketing and a psychology background, I will meet your expectations, providing up-to-date information and real-time facts about the market. At Lloyd And Associates Real Estate Group, I have at my fingertips, cutting-edge technology to assist you with buying or selling your next home. If you're selling your home inquire about my home staging services -- it works! Whether you are a first time homebuyer, military an investor, local or relocating, give me a call today. Darryl Lloyd appreciates the value of real estate and believes that home ownership and real estate investments are key components for the establishment of financial stability and wealth. The Lloyd And Associates Real Estate Group delivers a higher standard for honesty and integrity in every phase of the real estate transaction. Armed with the resources and expertise of the Lloyd And Associates Real Estate Group, Darryl Lloyd's no nonsense approach guarantees a successful buying and selling experience for his clients. Patience is a quality that guarantees you'll find the perfect home when working with him. Because the real estate industry is becoming more sophisticated and challenging every day, you need a skilled agent and service You Can Depend On. Mary Buckley of Lloyd and Associates Real Estate Group is the agent youï¿½ve been looking for. Mary will go the extra mile to help you achieve your goals. That's why she constantly researches the market and property values so your home is priced effectively from day one. Mary also ensures that the public knows your home is for sale by using innovative advertising, staging and marketing techniques to attract potential buyers. If you are purchasing a home, she will find the perfect home to suit you needs. Mary guarantees professionalism, honesty and diligence when working for you. Call for a free real estate or staging consultation today! Devora R. Gordy of Lloyd and Associates Real Estate Group is the agent you’ve been looking for. Her extensive knowledge of finance and business will not only serve you well, but afford you the opportunity to be educated regarding your real estate decisions. Devora prides herself in providing vital up-to-date details; and, crunches the numbers to insure that you are making the best financial investment that real estate has to offer. She will make good use of her resources to assist you with buying and/or selling your next home. Give Devora a call today before you plan your next move. Courtnay Williams of Lloyd And Associates Real Estate Group is a seasoned agent with an extensive background in real estate, finance, accounting, and consulting. Her professional experiences and education has equipped her with the ability to provide her clients with the exceptional service and dedication you deserve. Courtnay appreciates the trust you place in her to handle your real estate needs. She is excited about working with you, and making your dreams of homeownership a reality. Don't delay, give her a call today. 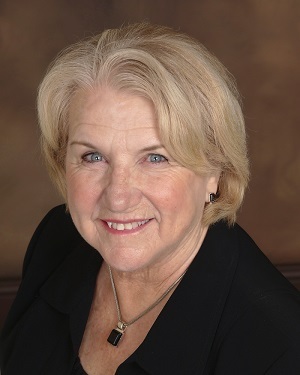 As a licensed real estate agent for over 19 years, Gay Laxton, of Lloyd and Associates Real Estate Group, understands the real estate market. Gay’s dedication to professionalism, integrity, and service are qualities you will come to appreciate when you work with her. Gay works with buyers, sellers, and investors, as well as with relocation companies. Since Gay Laxton is also a real estate investor, she understands the investors’ viewpoint. Give Gay a call today. As a lifelong resident of the Metro Area, I have been privileged to “grow” with the area. My experience and local knowledge will enable my prospective clients to make wise decisions in what will probably be the most important financial decision they’ll make. Real estate transactions can be like a journey. My specialty is residential sales – both as a listing and buyer agent. My experience also includes acquisition and sale of investment property. Currently, working in Washington DC. I am impressed with the vitality of the city. Washington DC has become the destination home of many. I am excited with my recent affiliation with Lloyd And Associates Real Estate Group. I’ve known Jim and Fredericka Lloyd over 10 years. I am impressed with their knowledge, energy and integrity. Thus, when I decided to expand my real estate career to Washington D.C. Lloyd and Associates was my first choice. My goal as your agent is not to steer your journey, but instead to facilitate a smooth ride, and identify and avoid the speedbumps along the way. Give me a call today. Let’s get started!